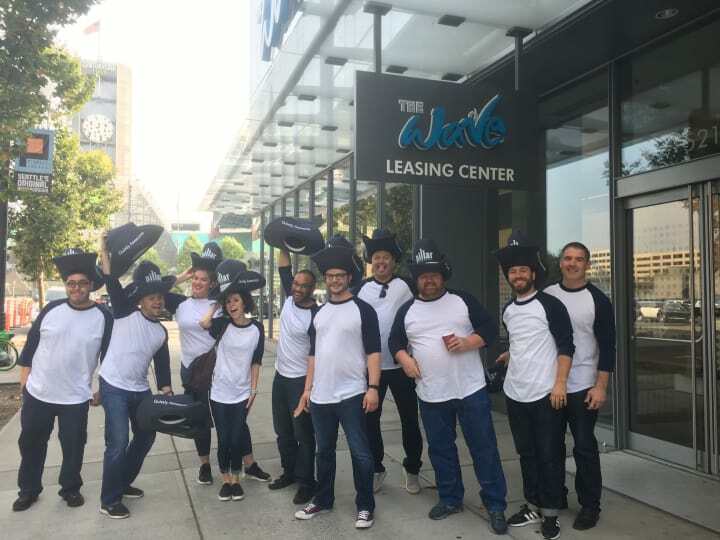 We know happy team members = happy residents, and that's what we are all about! 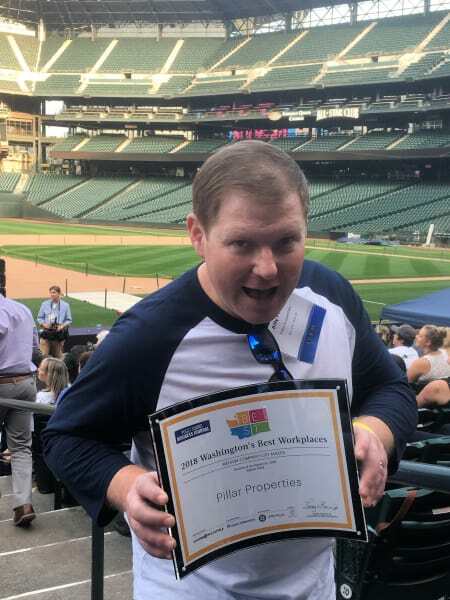 We are incredibly honored to be included in the 2018 Puget Sound Business Journal's list of Washington's Best Workplaces. This is the second time we have been recognized on this prestigious list. We believe our success comes from our shared commitment to provide a Quietly Awesome experience at every level of engagement and with every interaction. 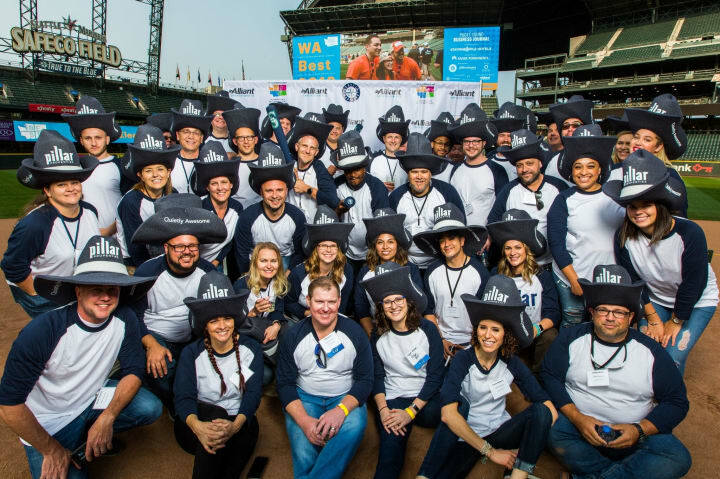 President Billy Pettit made sure the entire company got to share in the fun by gathering at Safeco Field to celebrate. 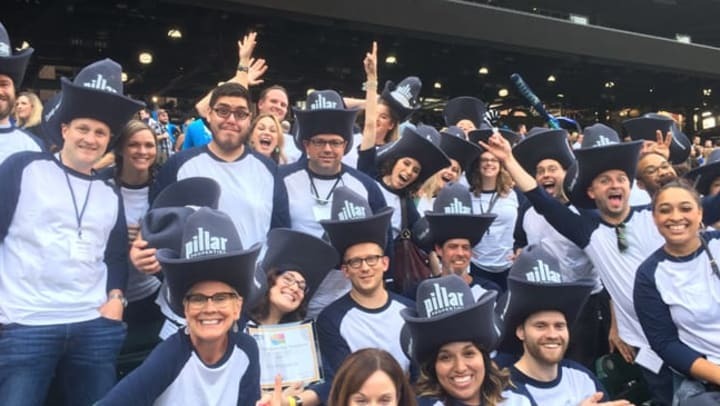 The Stadium Place team was proud to put on their matching Pillar Properties gear, giant hats and all, and walk over to the field together.